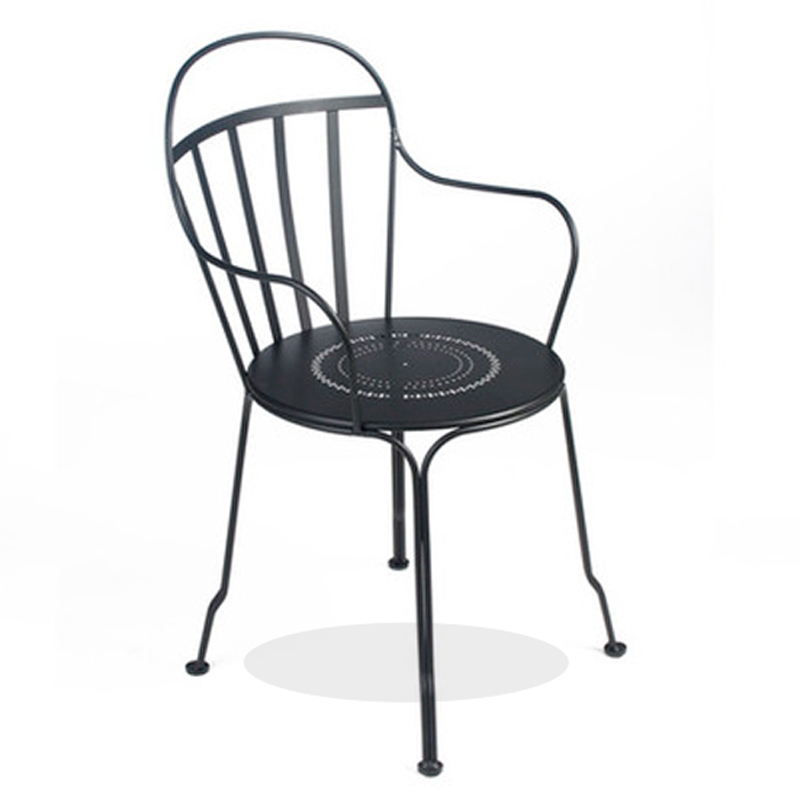 Classic style outdoor armchair made of steel. This stackable metal armchair got UV protection and treatment for outdoor use. Available in 23 colours.